Marshall William Faulk was born on the 26th February 1973, in New Orleans, Louisiana USA, and is a former professional American Football player, who played in the NFL for the Indianapolis Colts and St. Louis Rams, in a professional career active from 1994 to 2005. He currently serves as a pro football analyston the NFL Network for “Thursday Night Football”, and “NFL Total Access”. Have you ever wondered how rich Marshall Faulk is,as of early 2016? According to sources, it is estimated that Marshall’s net worth is over $12 million, with the main source of this sum of money his successful career as a professional football player, but his work as an analyst also adds to his net worth. Marshall Faulk started playing football at Carver High School, after which he continued to play at San Diego State University. While in college, Marshall became one of the greatest running backs in the history of the San Diego Aztecs football team, and received several awards, and recognitions, including three times selected for the 3× First-team All-American. Faulk`s professional career began in 1994, when he was selected as 2nd overall pick by the Indianapolis Colts in the 1994 NBA Draft. He signed a contract worth $17.2 million over seven years, and in addition he received $5.1 million as a signing bonus. In his first season, Marshall was named as the Offensive Rookie of the Year, and was also selected for the Pro Bowl game. He stayed with the Colts until 1999, when he was traded to the St. Louis Rams, as a result of several arguments with the team`s president Bill Polan, who didn`t want to offer him new contract. However, before he was traded he managed to play in one more Pro Bowl game, which also added to his net worth, thanks to the bonus, and was three times selected into the Second-team All-Pro, in 1994, 1995 and 1998. In 1999 he was traded to the St. Louis Rams, for second, and fifth round picks, and upon arrival at his new team, Marshall signed a contract worth $45.2 million over seven years. He continued with great performances, and the same year the Rams won the NFL Super Bowl Championship, defeating the Tennessee Titans. The same year, Faulk was named into First Team All-Pro, and repeated that feat in 2000, and 2001. To speak further of his accomplishments, he was chosen for the Pro Bowl game four more times, in 1999, 2000, 2001 and 2002. Marshal was the NFL MVP in 2000, and 2001, and he received the Daniel F. Reeves Memorial Award three times, in 1999, 2000, and 2001. After the 2002 season, his numbers started to decline, and in 2004, he divided his playing time with Steven Jackson, which resulted in having only 292 rushing yards in the 2005 season. In 2006, Marshal had a reconstructive knee surgery, but decided to retire in March 2007. In 2011, he was inducted into the NFL Hall Of Fame, and his jersey numbers were retired by his University, and the Rams, which became the Los Angeles Rams in 2016. Summarising his career, Marshal Faulk is the only player in the history of the NFL to accumulate 12,000 yards rushing and 6,000 yards receiving in a career, this in just 176 games. After he retired, Marshal took the position of NFL analyst on the NFL Network and he also serves as pro football analyst for shows such as “NFL Total Access” and “Thursday Night Football”, which has also increased his net worth. 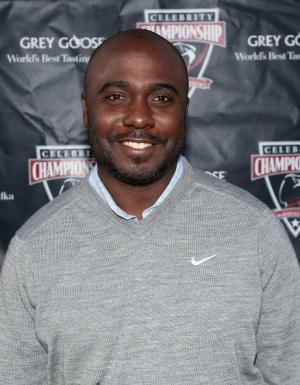 Regarding his personal life, Marshall Faulk was married to Lindsay Stoudt from 2006 to 2014. He is also recognized for his charity work, as he established a foundation in San Diego, California, where he currently lives. 1 Inducted into the San Diego State University Aztec Hall of Fame in 1998. 2 Inducted into the Pro Football Hall of Fame in 2011. 3 Selected by the California Angels in the 43rd round of the 1994 draft. 4 Youngest of six boys. 6 NFL running back with Indianapolis Colts (1994-1998) and St. Louis Rams (1999-2005).